Finally got around to installing my dual mode light bar. I can toggle between an amber running light to a flood/work white light. 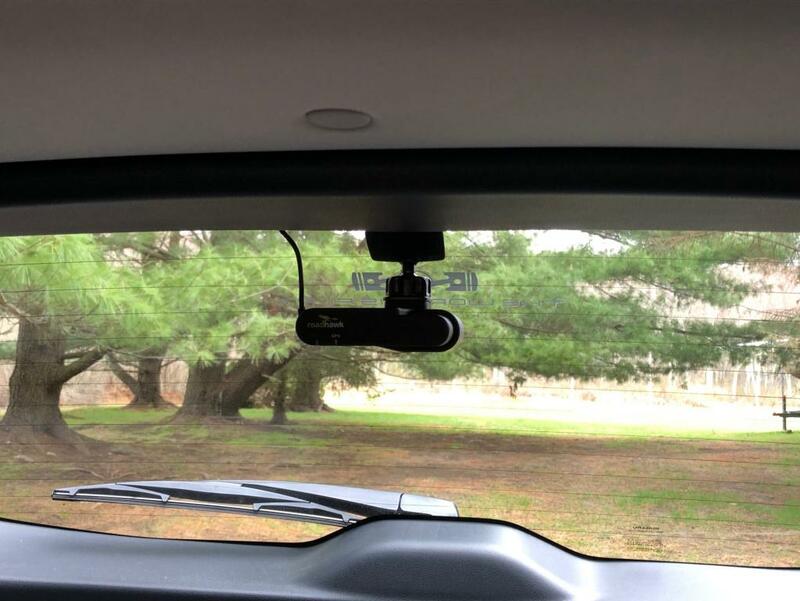 Also relocated my rear dash cam. Now I can see myself coming and going. lara2015XV, GregA, Cutlass and 3 others like this. What are those fog lights? They don't look stock. Made by Baja Design. They are their wide cornering version. Also available in spot beam with white light. 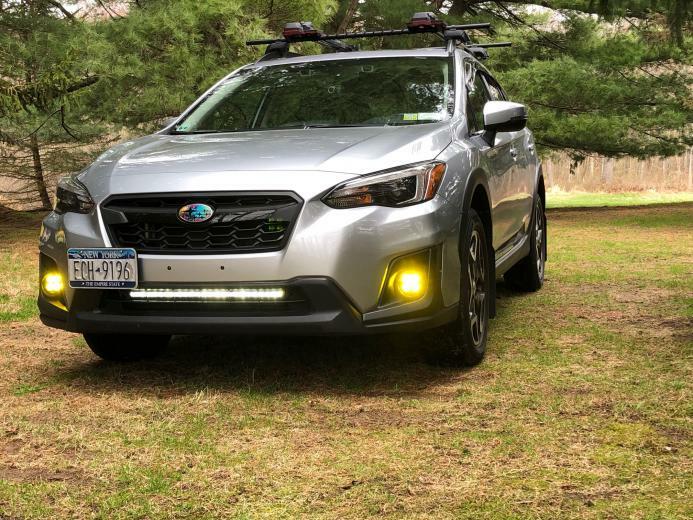 What light bar did you go with? From DD? It looks great in that spot. Do you have any night shots? Can you show us the switch you wired in as well? One last question, how hard were the fog lights? That is a clean looking install, I like the ability to switch between amber/white for the foggy season. I almost mounted mine this way and went for the 20" or 30" but I didn't want to fill the holes in the bumper & paint it (I don't like the look of those brackets across the holes). So I left the plate bracket since it was pretty well reinforced, and used that for a 10" mounting spot. Last edited by Robob; 04-15-2019 at 03:03 PM. 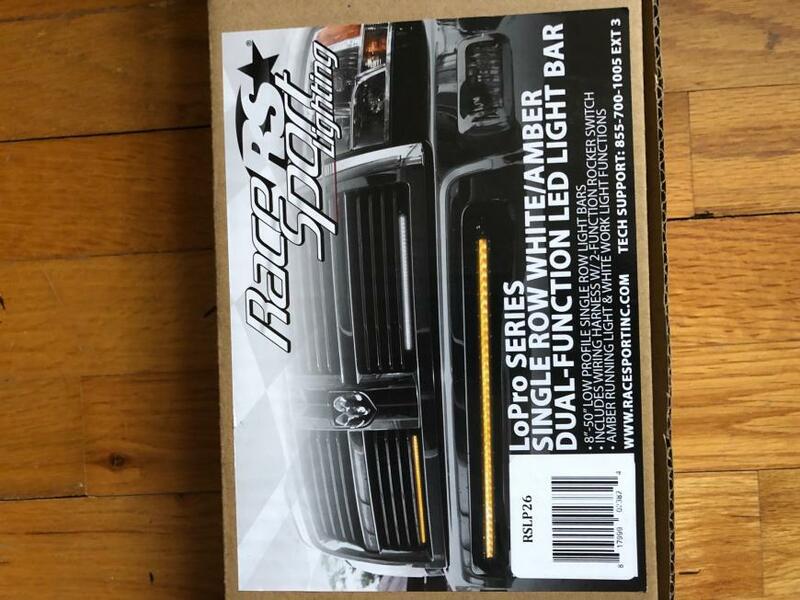 The light bar is from Race RS Sport. It is a 26" width. Disregard the prices the pricing they have on their web site. I picked it up from them for $230.00 by saying I saw the 30" width on on Amazon for almost the same price (True story). The amber is not bright. 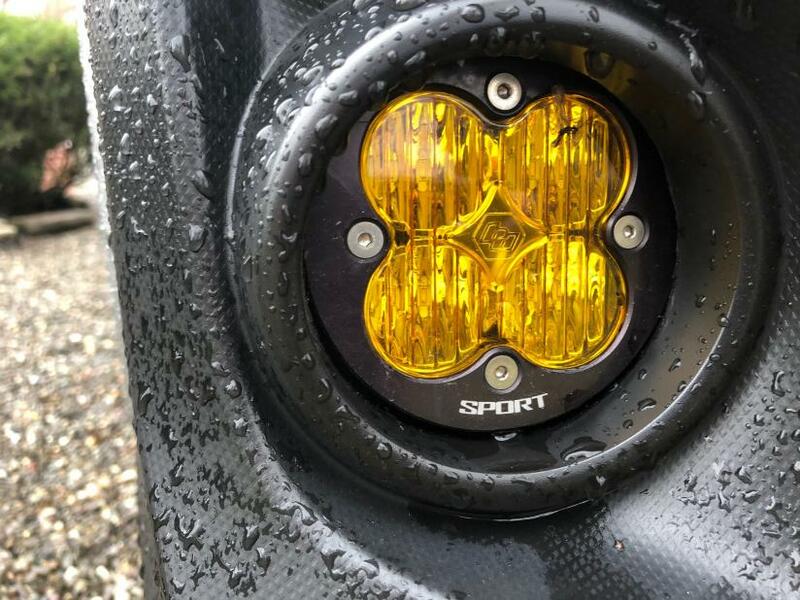 Instead it is a running light just for looks. The white is blinding and not suitable for use around other vehicles. I didn't want to spend big bucks on the light bar. Good lights that actually function well get pricey. I would have liked to get a Baja Design light bar but the cost is way up there for 30"..like over $500. Install requires removing the front bumper which takes about 20-30 minutes of just removing bolts up top and push clips below. The switch that comes with it is too large to go into one of the blanks to the left of the steering wheel. 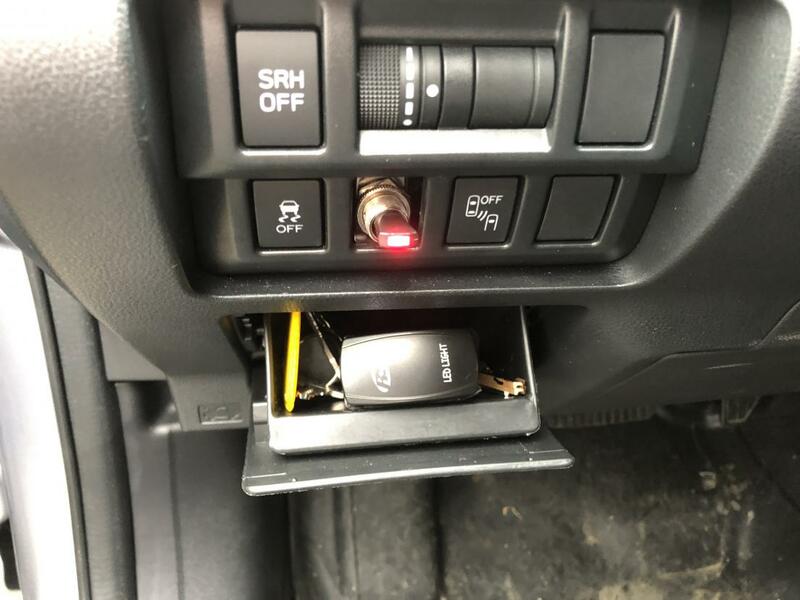 Until I find a smaller switch it is in the coming door to the left of the steering wheel temporarily. Total install time was 2 hours. If I did it again I could shave 20 minutes or so off that. racesportinc.com The red switch is from Baja Design. The Large one is for the light bar. The fogs and harness are from Baja Design and they are great. Baja Design makes awesome lights and their harness is all plug and play. I did not tap into any existing lights. Installation took me about an hour. If I did it again I could shave 20 minutes off the install. It was a really easy install and the bat switch (lit up red when on) fits through a blank by just pushing it in. I thought about getting a different switch purely for aesthetics , but decided why bother it works well. The black bezel (Just pulls off) that sits around the fog light needed to be sanded down a little with a Dremel tool to get it flush. 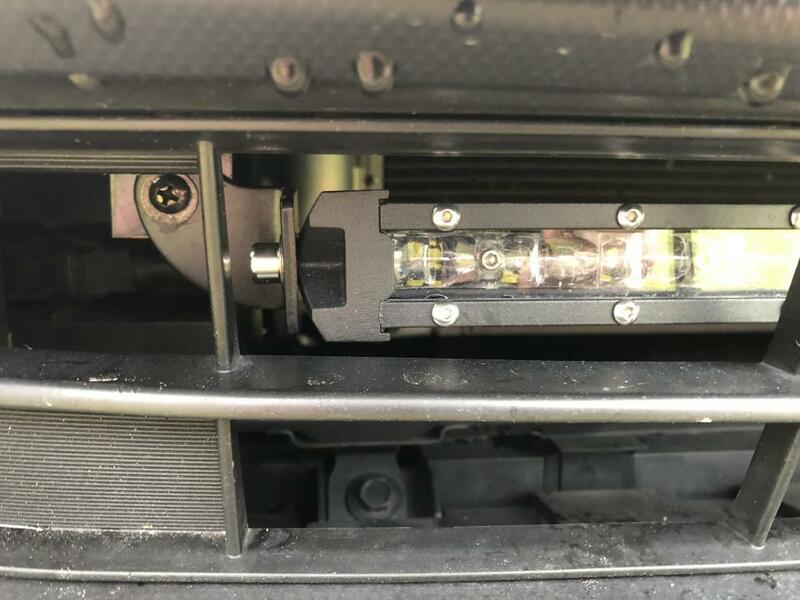 I did do a quick wrote up on how I installed the Baja lights. I'll see if I can find it and link it in a post for you. My baja's are the Sport ones which cost less than the pro's. They come in wide cornering which really lights up sides of road and some down the road. If you go spot for distance they only come in white I think for distance. Mine are corning. 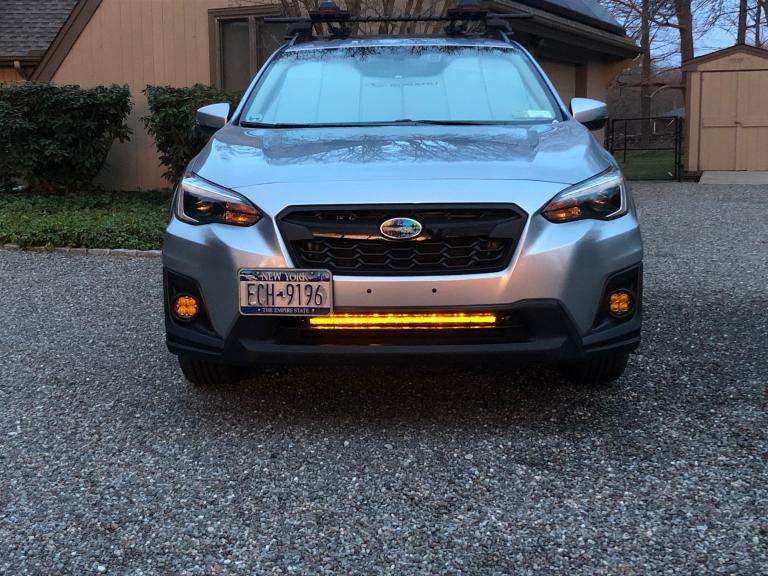 I didn't want an amber light bar for fog and snow because I already had amber fogs installed. Good light companies are Baja Design and Rigid. Black Oak is probably 3rd. Most people fall for how many Lumens a light throws out, but that is misleading. The quality of the lens makes a huge difference. I spent on the fogs and went cheaper on the light bar. Last edited by Seattle; 04-15-2019 at 06:37 PM. Have you ever considered buying the other switches for the panel and wiring into those? I see Subaru has them listed. I had not. Tomorrow I'll be at Subaru and look into them. Problem with the light bar is I need a switch that does On/Off/On. The fogs are just On/Off so that may work out. I'll report back what I uncover. Thanks for the link. Are the fog light switches different on the new Crosstreks? Why couldn't you just use the factory switch? Installed my SSD light bar today!